Arduino logo with black to red gradient. I thought that the gradients were a nice touch. 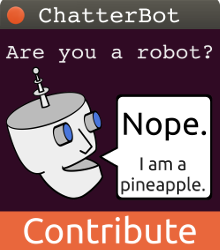 I used the light colored one on my "Powered by" button. As for the others I was trying to place the colors in relation to the positive and negative polarity symbols. The last thing that I tried was adding a bevel around the edge of the logo so that it would have a 3D appearance. 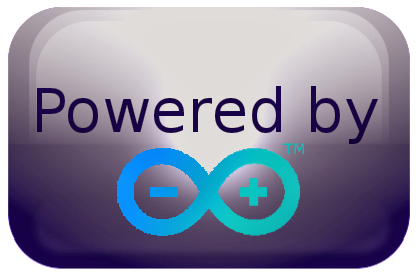 Also feel free to use any of these for your own purposes, hopefully you can get some good use out of these graphics if you are doing a project with an Arduino Product. 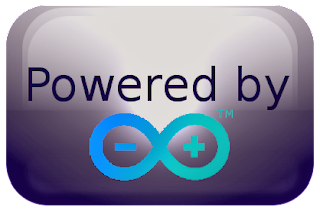 Please note that the Arduino logo is a Trade Mark of Arduino which has no affiliation at this time with the robot that I am building and writing about on this site.